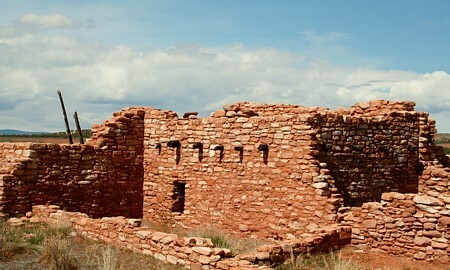 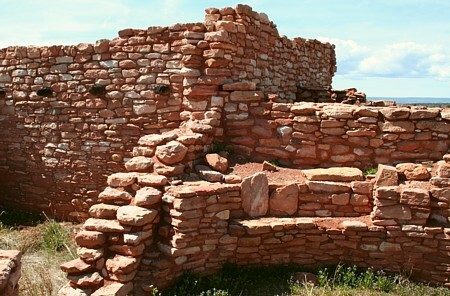 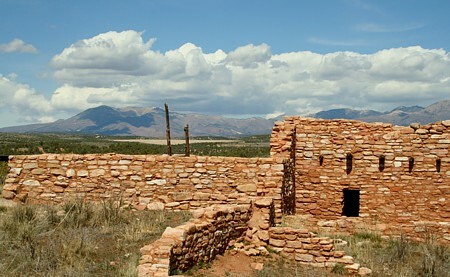 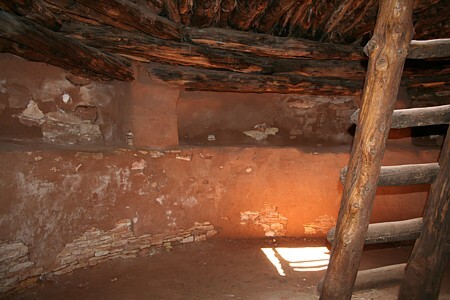 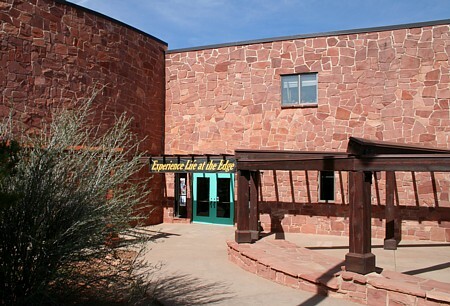 Visitors enter the kiva and walk around the ancient pueblo on a guided trail. 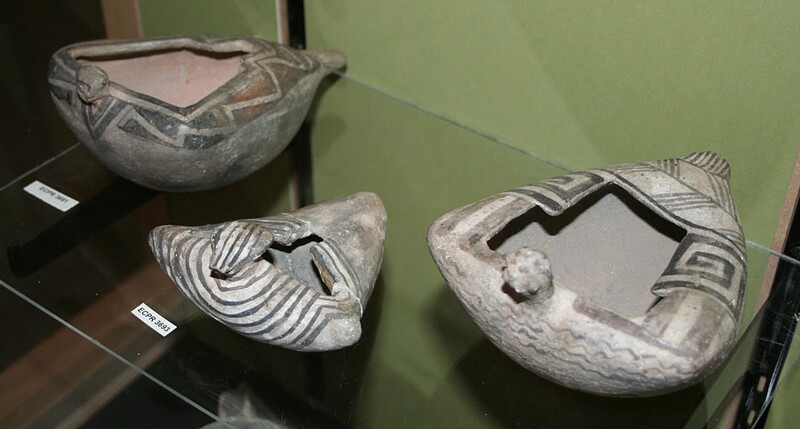 The 1300-1500-year-old Baskemaker sandals look like new. 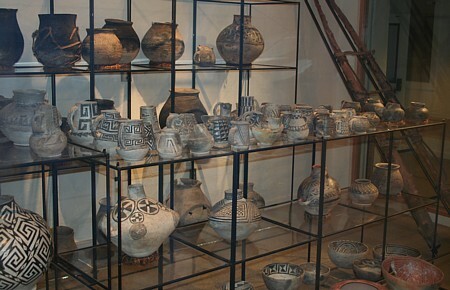 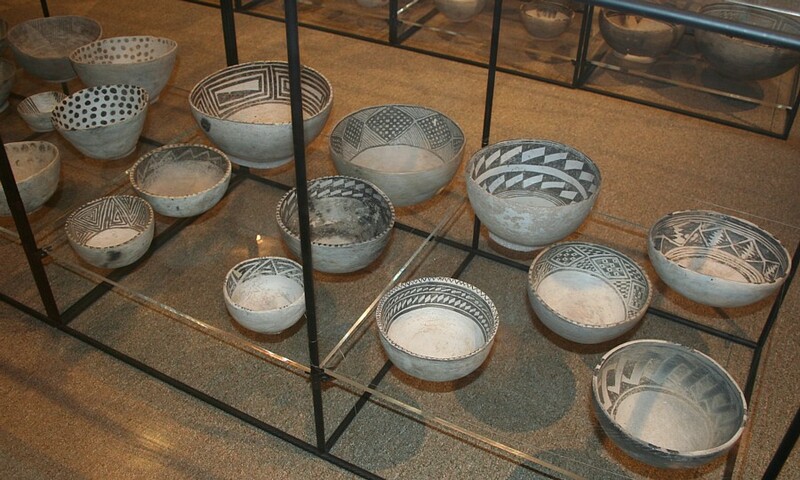 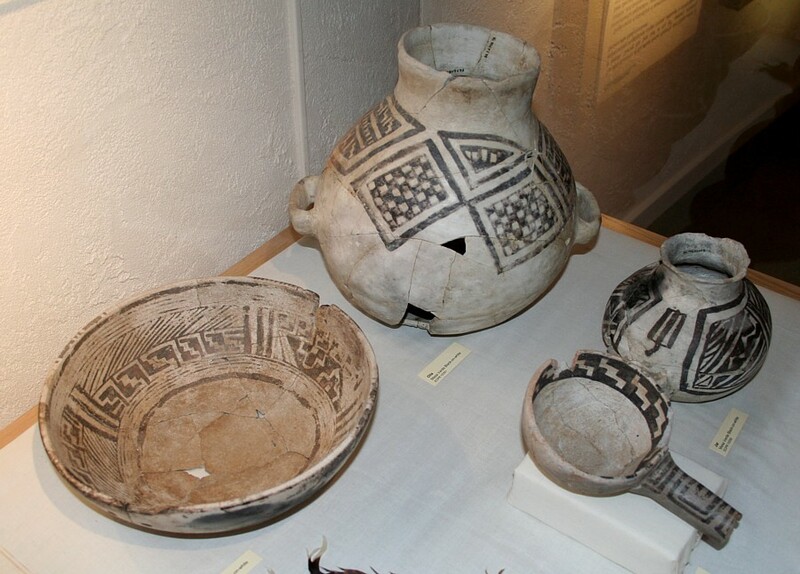 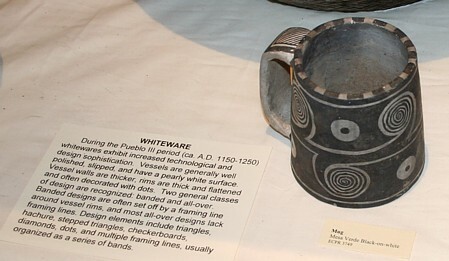 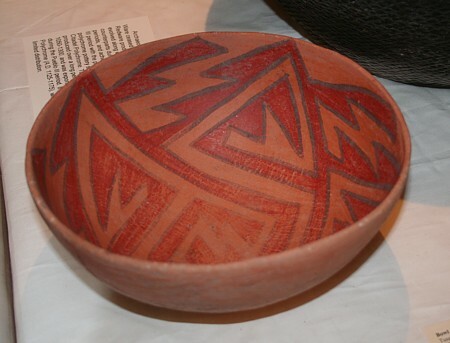 The pottery displays are very thorough, with numerous ceramics displayed. 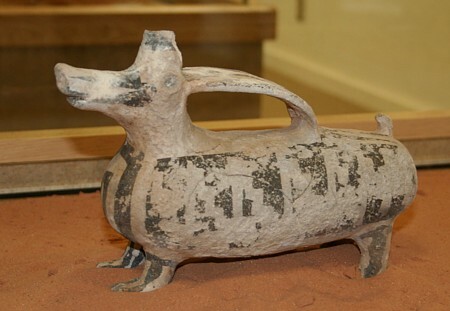 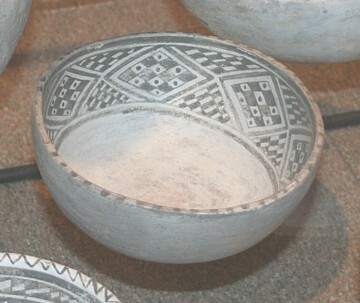 Interpretation provides chronological ordering of the ceramic styles. 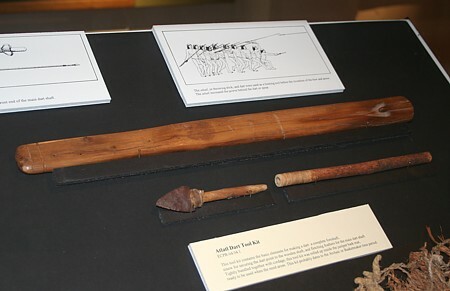 A complete ancient atlatl tool kit is displayed. 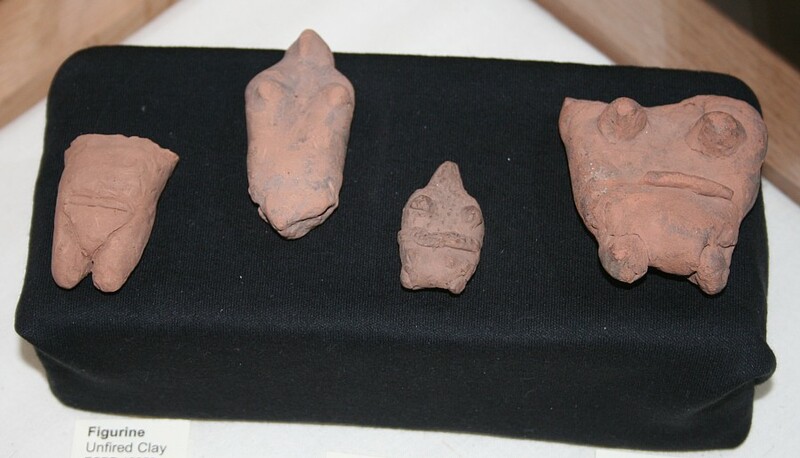 Unfired ceramic figurines from a single location in Grand Gulch. 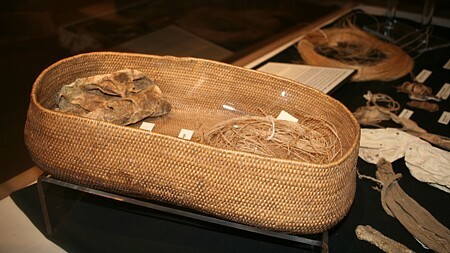 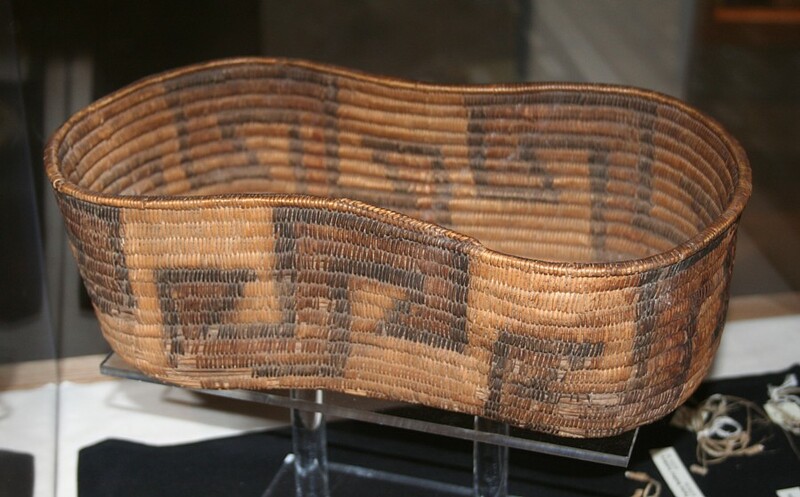 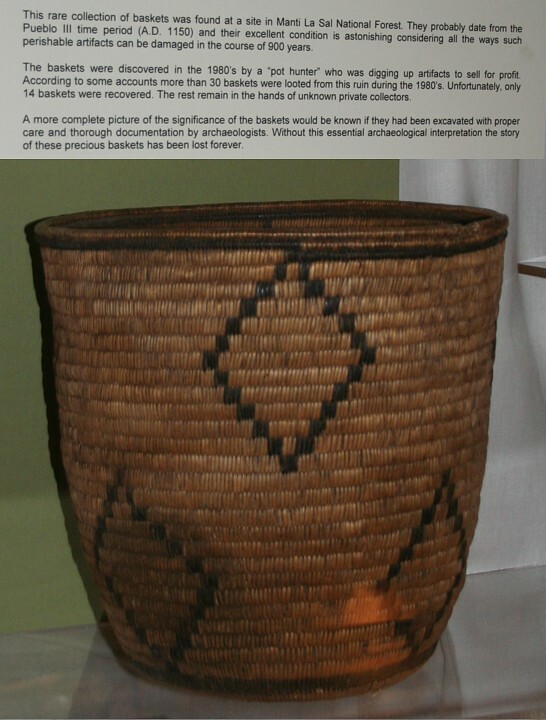 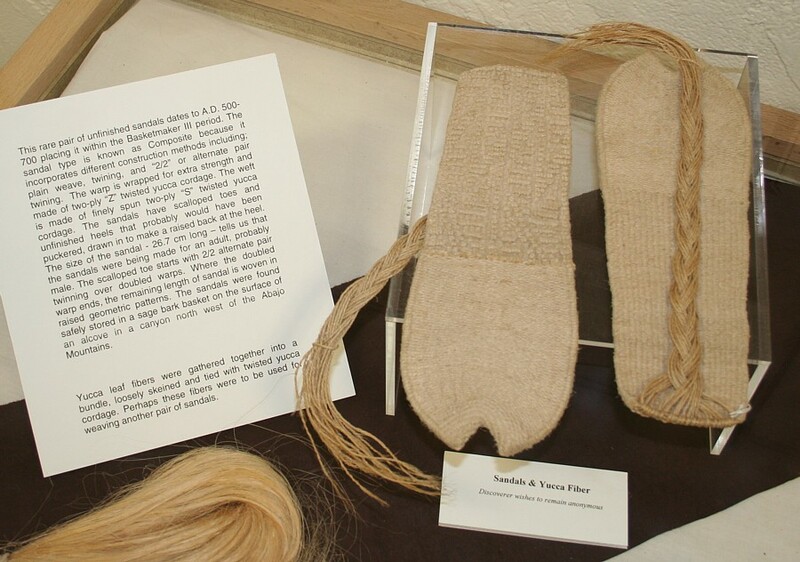 The ancient basketry on display is of exceptional quality. A variety of rock art fills the stairwells and corridors. 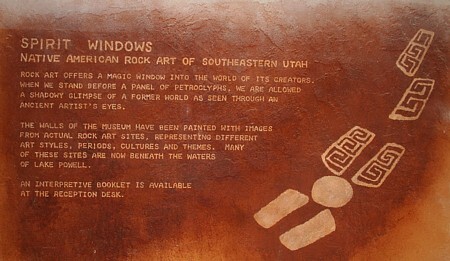 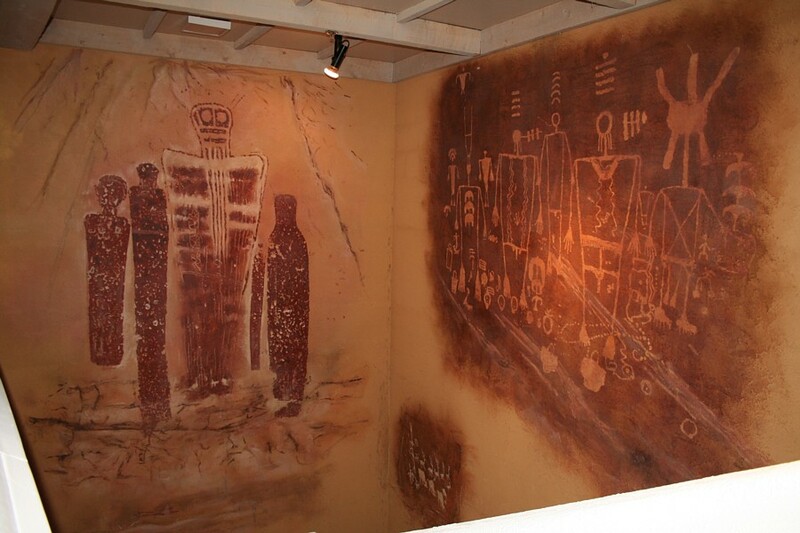 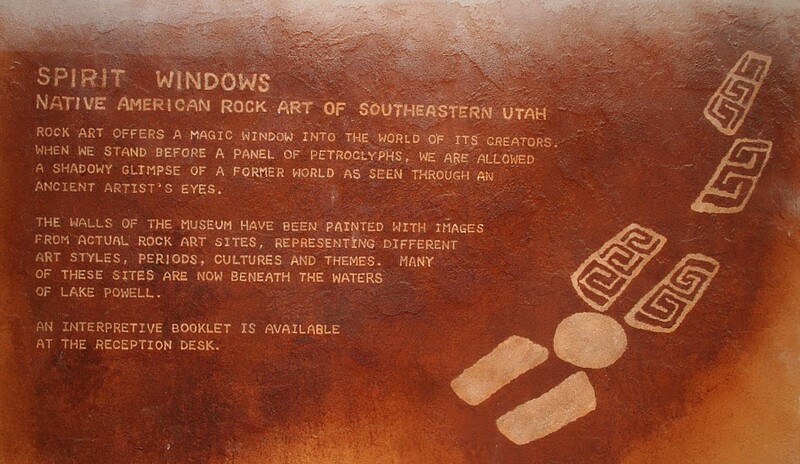 Some of the rock art on display is under water in Lake Powell.